Home / Self improvement / Why is dark chocolate healthy? We often consider all chocolates and sweets as “junk food” or as a poor dietary choice. Recent studies though show possible health benefits coming from a specific type of chocolate: Dark chocolate. The bad rap that chocolate used to get was in fact due to other materials packed with a bar of chocolate, such as the added sugars, the hydrogenated and saturated fats. As a matter of fact dark chocolate can help improve blood flow, lower blood pressure and reduce blood clotting and other complications. Flavonoids, previously known as vitamin P (the nomenclature is now dropped) are abundant in the cocoa bean. Since cocoa bean is the essence of dark chocolate, scientists are trying to relate the positive effects of flavonoids on health through the consumption of dark chocolate. To start with the good news; after 15 years of follow-up study, scientists in Netherlands were able to conclude the inversely proportional relationship between cocoa intake and blood pressure. Another group from the University of L’Aquila in Italy correlated the consumption of dark chocolate with improved insulin sensitivity in diabetic patients. These patients were instructed to eat dark chocolate exclusively to check the effect on insulin and blood sugar. The results were positive and strong evidence have been drawn about the effect of dark chocolate on insulin and blood sugar. Flavonoids, nature’s potent antioxidants, have a protective role in the body. Their job is to limit the effect of free radicals (malicious compounds that might alter normal cells). Free radicals need to be stopped or halted before they exert their effects on cells. As we age, our antioxidant levels drop and the need of a good diet increases to make up the deficit created by our body. The class of flavonoids found in dark chocolate is flavonols, also found in red grapes and regular tea. These flavonols mainly epicathecin (abundant in cocoa) have been found to have at least double the amount of antioxidant potential than other flavonoids. It’s true that the effects of dark chocolate were backed up by science, but the fact was that humans do not consume pure dark chocolate since it has a bitter taste. Products often had extra ingredients or additives to enhance the flavor and texture of the product. 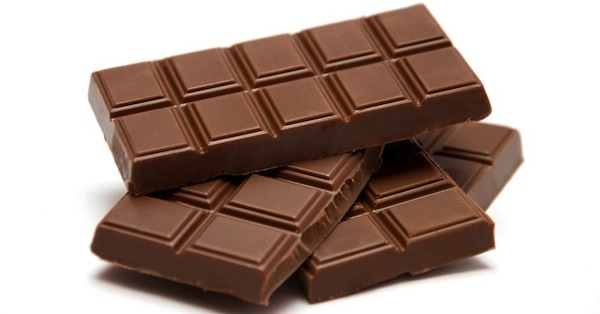 Through experimentation, it was shown that the presence of milk with dark chocolate may interfere with the absorption of antioxidants found in it. While results in the lab showed optimal antioxidant properties for dark chocolate, results in vivo (inside the human body) were far less promising. The presence of milk negated the good benefits and made them negligible through a possible interaction of the different nutrients. Not to give up though, a group of researchers in the US dug deeper into the matter, and their finding stated that cocoa powder without any additional ingredient has been successful in inhibiting atherosclerosis , lowering blood cholesterol, lowering Low-density-Lipoprotein (LDL) commonly known as bad cholesterol and elevating the High-density-Lipoprotein (HDL) or good cholesterol. Which type of dark chocolate is good for you? Many variations of dark chocolates are available in the market, stay away from ones with toppings and additions such as caramel, marshmallow or extra fillings. Also make sure you are having a balanced and acceptable serving of chocolate. There’s no need in going through 4 bars a day since they are healthy. Remember that everything should be in moderation. This means you can enjoy a small piece of pure dark chocolate daily without feeling guilty or scared about your health.